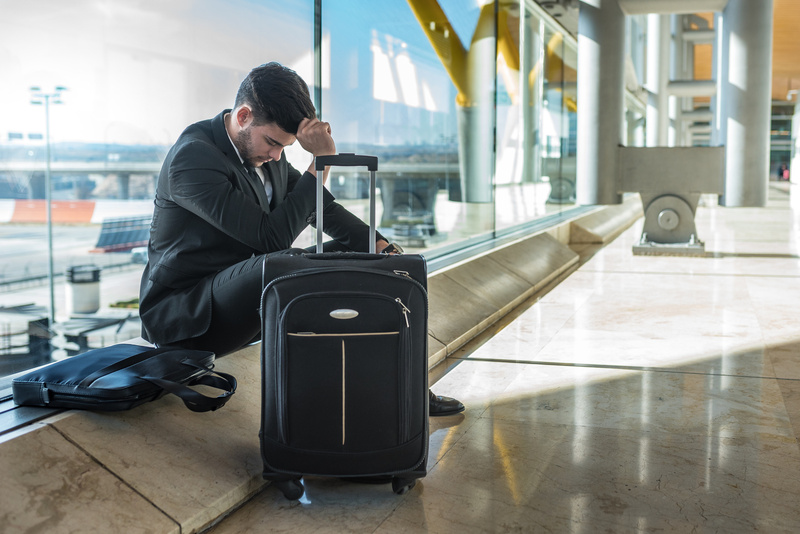 If you’re setting off for the summer in the next couple of months, here are the common mistakes you shouldn’t make when trying to avoid the dreaded jet lag. Even if your normal sleeping pattern is a healthy 8 hours of ‘early to bed, early to rise’, it’s still a good idea to start modifying it at least a week or two before you travel. Part of the problem with jet lag is that you essentially shock your body into an entirely new routine without warning. Building up a new sleeping pattern gradually – by going to bed a little earlier or later each night in accordance with your destination’s time difference – can help ease you into a new time zone. That way, by the time you reach your destination, your circadian rhythm already has a head start. When we fly, many of us fall into the trap of enjoying a tipple or two to help us sleep, or a strong coffee to keep us alert. But neither of these are good options when it comes to avoiding jet lag. No matter how much better they make you feel in the short term, coffee and alcohol are both dehydrating, and this is a common factor in many cases of jet lag. Symptoms like headaches and fatigue are worsened as a result. If you’re heading off on a long-haul flight, bear in mind that not all seating is created equal. Remaining stagnant throughout a long flight is a significant factor in many cases of jet lag, while stretching and moving regularly have been shown to combat symptoms. With this in mind, the ideal seat should be by the aisle, not the window, and should provide you with plenty of leg room for carrying out simple stretches every 15 minutes. The first thing you should do when you sit down on the plane is adjust your watch to fit the time zone of your destination. This simple action forces you to make a conscious note of what time your body should think it is, reminding you to take action to make this the case. From this point on, aim to sleep and eat in accordance with what your watch is saying. When we’re tired, we have a tendency to fall back on fatty comfort foods as a source of energy, but this isn’t going to benefit you in the long run. Snacks like chocolate are high in sugar, which will lead to a brief surge in energy and an inevitable crash. Instead, make your first meal upon arrival a protein and nutrient-rich option, allowing you to burn off energy slowly and see you through your first day. The very worst thing you can do after a long-haul flight is immediately crawl into bed, unless your new time zone dictates that it’s time to do so. Taking a nap when you arrive means you’ll wake up feeling wide awake in a few hours… just in time to go back to bed. If you arrive during the day, you must do everything you can to stay awake until night time in order to avoid jet lag. Get out into the sunlight, as this will boost your energy levels, and set your alarm early the next morning so you don’t end up sleeping in. Another mistake we make? Forgetting that effective medication can help you avoid jet lag. Melatonin – your body’s natural sleep hormone – is available in the medication Circadin, which can regulate your sleep schedule on holiday. Contact Express Pharmacy today on 0208 123 07 03 or by using our discreet Live Chat service.